A unique partnership of large corporates, the government and ICRISAT will work towards 2G biofuel plant feedstock planning and production for India’s upcoming 12 biofuel plants. Each plant has an outlay of ` 7.5 billion (USD 115,245,000) with a production capacity of 100,000 liters of ethanol per day. “We are considered as a trusted research for development partner in feedstocks development and taking technologies to farmers for ensuring sustainable feedstocks production for the success of the 2G biofuel program,” said Dr A Ashok Kumar, Principal Scientist, Asia Program, ICRISAT. Various private companies from India and abroad made presentations on processing technologies available for biofuel production in 2G plants at a meeting held at ICRISAT. The monthly meeting of the Working Group was also held to review the progress of 2G biofuel plants establishment and other initiatives in the biofuels front. 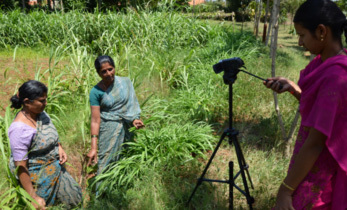 Participants of the workshop were taken to the sorghum fields and shown the progress made by ICRISAT in developing feedstock for 1G and 2G biofuel production. 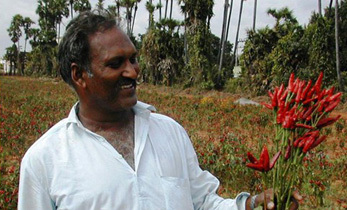 The genetic enhancement work done in improving the stalk yield, juice yield, percentage of sugar (brix) and ethanol yield were showcased to the group along with the efforts in commercialization of feedstock for biofuel production (Umakanth and Ashok Kumar 2016; Ashok Kumar et al., 2010 and Reddy et al., 2008). 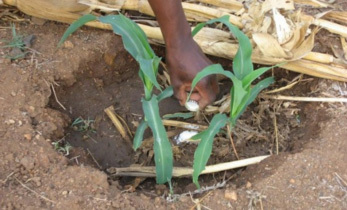 Demonstrations were held on measurement of brix content in the field and the breeding methods followed to protect the grain yield while improving sorghum for biofuel traits so that farmers can get dual income from stalks and grain. 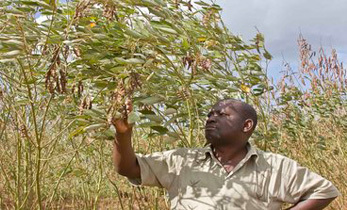 High biomass sorghum that gives higher ethanol yield and stands at a height greater than 4 m was shown to the group. Sorghum produces high biomass per unit of time, land, water, nutrient vis-a-vis other known 2G biofuel feedstock like sugarcane, paddy, corn and switch grass. The low-lignin containing brown midrib (bmr) introgression lines that increase the recovery of biofuel and reduce the cost of production were also shown (Castro et al., 2017). Characteristics of sweet/high biomass sorghum that makes it a viable source for ethanol production. Source:https://www.researchgate.net/publication/313114771_Sweet_sorghum_as_a_biofuel_crop [accessed Feb 23 2018]. 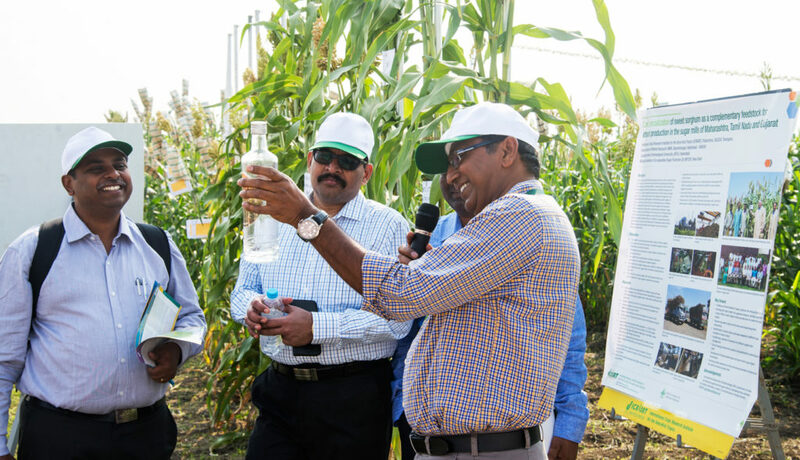 ICRISAT is striving to improve the market opportunities for drylands farmers and the 2G biofuels initiative offers a major platform for using sorghum, one of the mandate crops, as feedstock for commercial biofuel production. Each 2G plant needs close to 500 tons of feedstock per day and considering the average landholdings of 1 ha, 500 farm families get benefited per day by supplying stalks to 2G plant. 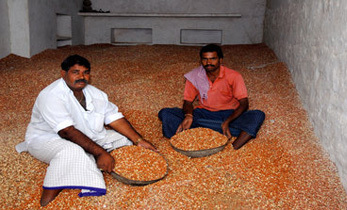 In a year, the 2G plant operates for 300 days and directly benefit 150,000 farm families. 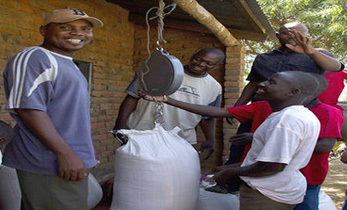 For 12 plants the beneficiaries will be 1.8 million farm families. This partnership is unique and win-win for all the parties involved. The workshop was held on 20 February at ICRISAT and was organized by the Working Group on Biofuels, Ministry of Petroleum and Natural Gas with funding support from Hindustan Petroleum Corporation Ltd.